....things have been so crazy, with all the product coming in, classes, and I have had to start on GASC. Yes we are doing it again, and wait until you see the classes we are teaching with Cheryl from TSS. Caroline from Maya Road is going to sponsor us and hopefully help teach a class or two. If you want to take the class, hurry, 2 have already sold out! Last year we had a VERY special customer that had heard of us and traveled all the way from Italy, and no that's not Italy, Texas. She and her husband come to the states to shop. She looks for scrapbook supplies and he looks for great music stores. I wanted to share this layout she sent me of their visit. Awesome layout! I am loving the Texas state and stitching...thanks for sharing Francesca, cannot wait to see you guys again! Saving the environment doesn't mean we all have to wear hemp and clunky huarache sandals made of old tires. This is my new shopping bag that I made so I don't have to collect all those annoying little plastic bags. This bag is very environmentally friendly. I reduced my stash, reused some scraps and items I had around the house and recycled this tired old bag. 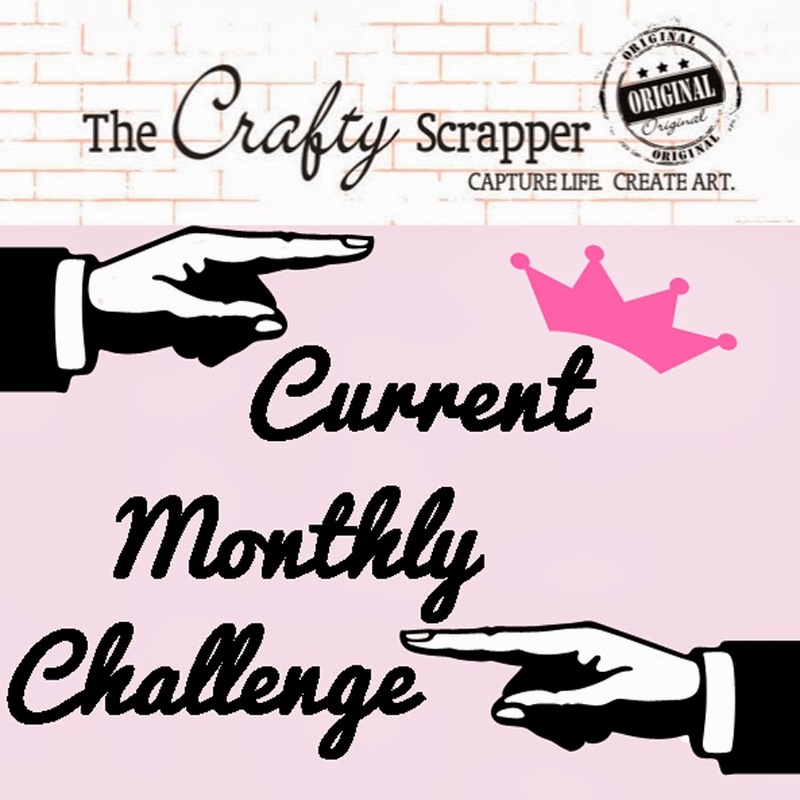 If you would like to know how I made it check out my blog. When we go to CHA, we always try and find something new and fun to bring into the shop. This year we decided on soldering, and we are sooooo lucky to have the talented Tina Wright local to come teach these classes. Tina has been published in Somerset and many other magazines. She is also the co-host in a new retreat called Paper Cowgirls. If you are looking for something new, fun and different be sure and check out the Paper Cowgirls Retreat. Tina made each student one of these adorable little envelopes to hold their class kits. These two sisters, Jennifer and Gena enjoyed a day out taking a class together. Susie had a great idea for her charms. 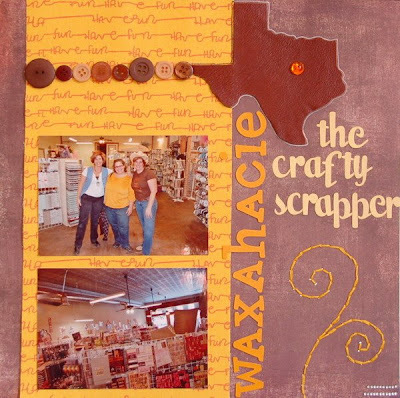 She used Waxahachie Indian paper and made soldering charms to hang off her scrapbooks. We are so excited about all the classes Tina will be teaching at the store. We will still offer Soldering 101, but are adding advance and intermediate classes. You will have to complete the soldering 101 in order to take any of the advance classes. The store has also started carrying Simply Swank soldering products, we have 29 different size glass sets, charms, solder, foil, books, and a whole starter kit for the beginner, so come check it out! If you guys haven't figured it out yet, we love Ten Seconds Studio and Cheryl! A couple of weeks ago Cheryl and Megan came down for dinner. When they were leaving, Cheryl saw this in the window of the antique shop next to me. She didn't even know what it was, but could see metal on it and had to have it. When she came down Saturday to teach the metal cross class, we surprised her with it...cannot wait to see what you do with it! Here the crosses are drying while everyone worked on their metal. Loved how everyone had a different look. If you were in the store while they were distressing their cross...sorry about the noise!